Grief and guilt color every somber, shadowy frame of writer/director Ari Aster’s unbelievably assured feature film debut, Hereditary. The Graham family is maybe less grief-stricken over the loss of Grandma than you might expect. Daughter Annie (Toni Collette) delivers a eulogy that admits her mother was difficult, secretive. Her oldest son Peter (Alex Wolff) seems nonplussed by it all. He’s probably stoned, though. Supportive but exhausted husband Steve (Gabriel Byrne) is almost relieved, but the loss does bother the Graham’s socially isolated younger daughter, Charlie (Millie Shapiro, in one of the more chilling performances this year). With just a handful of mannerisms, one melodic clucking noise, and a few seemingly throwaway lines, Aster and his magnificent cast quickly establish what will become nuanced, layered human characters, all of them scarred and battered by family. The eulogy caps a striking film opening, where serpentine camera movement intertwines the Graham family with the intricate miniatures Annie creates inside their grand, secluded house. What we see suggests a scaled-down world of its own, lifelike but lifeless. Art and life imitate each other to macabre degrees while family members strain to behave in the manner that feels human, seems connected, or might be normal. What is said and what stays hidden, what’s festering in the attic and in the unspoken tensions within the family, it’s all part of a horrific atmosphere meticulously crafted to unnerve you. If horror fare such as The VVitch or It Comes at Night is not your bag, then you probably don’t care for the slow, detailed burn that A24 studio regularly serves. For those that do, hooray! Here’s another “adult” horror film, one that invests more in character development than in jump scares (though there are a few, including one so jarring it awakens the potential of the device). Aster takes advantage of a remarkably committed cast to explore family dysfunction of the most insidious type. Whether his supernatural twisting and turning amount to metaphor or fact hardly matters with performances this unnerving and visual storytelling this hypnotic. Applause to cinematographer Pawel Pogorzelski for turning this intricately designed home into a foreboding character all its own. 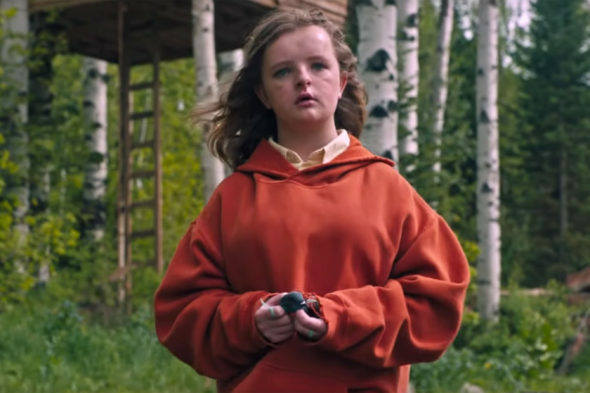 Like Rosemary’s Baby, The Shining, The Haunting, The Others and any number of brilliant genre hauntings, Hereditary uses its surroundings to create a space where the most mundane moments take on a diabolical chill. The family dynamic at work here is gut-punch authentic. Collette anchors the film with a performance full of grief, insecurity, bitterness and terror. It’s another in a string of award-worthy turns, and the support she gets from the ensemble, including a game Ann Dowd, elevates the tension in every intricately detailed frame. You will have been quietly unnerved, startled from your seat, and then unsettled by the time the supernatural elements overtake the story. The peppering of hardline genre tropes in act 3 may feel like a cop out, but Aster’s interplay with the differing family members is too careful for such an easy summation. The web of mental states, understandable suspicions and direct bloodlines layer the brutally effective fable, and Aster wields these weapons with stealthy precision. His work here is so smartly embedded that Hereditary continually tempts potential non-believers to dismiss where it leads as something you’ve seen before.